You are currently browsing the tag archive for the ‘Orion’ tag. 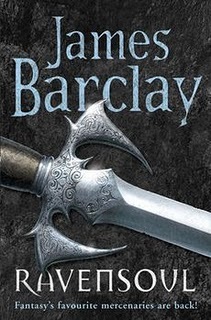 I’d put off starting Blackveil, as the cover suggested it was book four in an extended series, and I generally don’t enjoy coming into a series so late. My misgivings were unfounded; although it comes late in the series, it is remarkably easy to get sucked into the world of Blackveil and become totally absorbed in the problems of the characters. 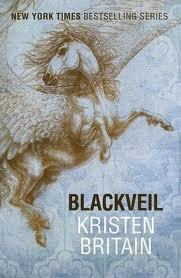 Blackveil is not the last of the series; although it has many satisfactions it ends on a cliffhanger, so there is clearly at least one more volume to come. The Dark and Hollow Places is described on the back of the book as a “companion volume” to two others; in the author’s bio at the back it’s called volume three in a trilogy. I think the second is a more accurate description, and as a result the novel lacks a little when read by itself. Even so, it manages to be an interesting and entertaining read; it’s well suited to the intended young adult audience but will also hold the interest of many adult readers. 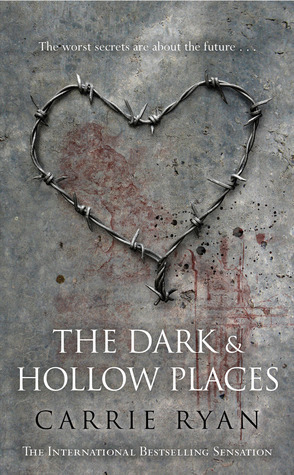 The Dark and Hollow Placestells the story of Annah. When she was a child, she and her twin (Abigail), and the older Elias left their village to explore in the forbidden forest. When Abigail fell and hurt herself, Elias and Annah carried on with their adventure. They became irrevocably lost, never able to return to their village. Annah has spent years racked with grief and guilt for her sister. Perhaps she died alone in the forest. Perhaps she too wandered lost and alone. Perhaps she found her way back to the village. Annah has never known and the guilt eats at her every day. Eventually Annah and Elias found their way to the City, one of the few remaining refuges. Here they eked out a living for years. Until eventually Elias joined the Recruiters, a semi-military corps that is supposed to provide some protection for the citizens. He was supposed to return after his two year hitch, but it’s been three years and there’s still no sign of him. Annah doesn’t know if he’s dead, or if he’s alive but has chosen not to return to her. 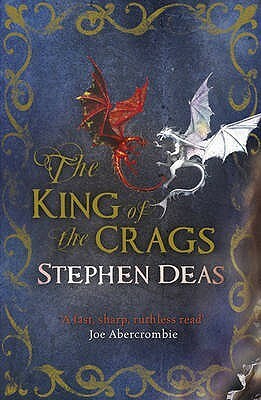 The King of the Crags is an awkward book to review in that it sits right there in the middle of the road; a good enough book, but not anything very special. It was an entertaining enough read, but not particularly memorable. There’s not really a lot wrong with it, but it doesn’t stand out in any way either. One difficulty with The King of the Crags may be that it’s the second in a trilogy; these often don’t stand alone very well, and it’s not fair to expect them to do so. However, I haven’t read either the first or last in this trilogy, which means that for me The King of the Crags had to stand alone. It was reasonably easy to pick up on the plot, and to some extent on the cast of characters; but I did feel that the characterisation in particular probably suffered from the fact I hadn’t read the first. Many of the characters seemed a little sketchy and it was hard to care about their dilemmas to any extent. Given that Deas is a reasonably good writer, I have to conclude that this is likely, at least in part, to be due to the fact I was unaware of the character establishment and development of volume one. 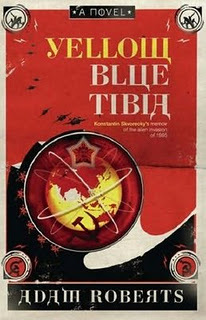 This novel is billed as an autobiography, “Konstantin Skvorecky’s memoir of the alien invasion of 1986.” Skvorecky had an established reputation as a science fiction writer in the USSR in the mid-1940s, when he and a number of other SF authors were called together by Stalin to write the story of a new enemy for the USSR, on the assumption that the defeat of capitalist America was nigh. Their task was to invent an alien nemesis that Stalin and the Communist Party could use as a focus for the hatred and fighting spirit of the people of the USSR. As quickly as this was all put together, though, it was shelved. Skip forward to the mid-1980s, and Skvorecky is an old man, near-alcoholic and bitter. His writing career has largely been a bust, as has his personal life. All of a sudden, however, Powers That Be are taking notice of him once again – including some people whom he has not seen since those frantic weeks in the 1940s, creating Stalin’s new enemy. His (mis)adventures take him to Chernobyl, lead him to meet an intriguing American woman who is an ambassador for Scientology, and bring him into conflict with the KGB. All of this within the possible context of an actual alien invasion. 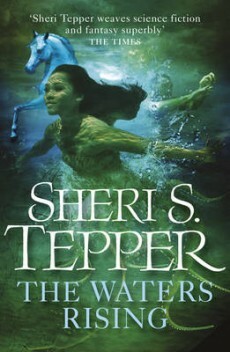 In recent years Sheri Tepper has been writing books where environmental concerns have come to the forefront; The Waters Rising is one such novel, but one with a powerful and interesting story that just happens to touch on environmental concerns. Unlike some authors, Tepper doesn’t need to preach to get her point across. As the story opens, the peddler Abasio and his talking horse Blue are approaching Wold, a part of the world not yet affected badly by the rising seas, rivers and lakes. They’re not quite sure what they’re doing there; Abasio just had a feeling that he needed to head in that direction. And when he meets the child Xu-lai, he reluctantly realises that perhaps he is intended to help her. He’s not quite sure, and he’s afraid to make a dreadful mistake; and he’s also afraid that helping her could lead to a lot of trouble. Xu-lai is a Tingawan soul carrier. The Tingawan princess Xu-i-lok, wife of the Duke of Wold, is dying. When she expires, her soul passes to Xu-lai, who is then responsible for returning it to its proper resting place in Tingawa. However, the journey will hardly be short or safe. For one thing, the world is changing. The waters are rising, and all people keep finding themselves scrambling further back from the shores – up mountains, further inland, onto islands. Within a century the waters will have risen so far that all land life, including mankind, will be extinct. And some of the scrambling surviving settlements are becoming quite strange. 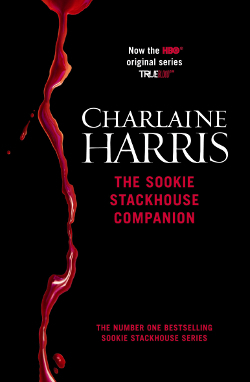 The companion is edited by Charlaine Harris, the author of the novels, and she’s at pains in the introduction to be clear: it’s a companion to the Sookie Stackhouse novels, not the TV series True Blood which is based on the books. If you’ve tried both then you’ll know that they are very different. Harris does include a few nods to the TV series, most notably an interview with series creator Alan Ball. Appropriately, many of the questions focus on differences between the books and the TV series. Ravensoul is one of those novels which clearly has a lot to offer a particular audience; unfortunately, I am not part of that audience. The main reason for my lack of appreciation lies in the fact that it is (apparently) the seventh book in a series, and I haven’t read any of the earlier novels. However, it seems a novel which would be appreciated by those who have read the earlier books in the series. For one thing, Ravensoul relies heavily on the personalities of the characters, including the relationships they have built up over time. It’s hard to get full benefit from the novel if you haven’t been a party to those relationships before. The Raven is – or was – a band of mercenary warriors. As this novel opens, the band has been all but destroyed by events in earlier novels, with most members now dead. Sol has survived, and is now both an inn-keeper and a reluctant king. Denser, the other survivor, has been working his way up the magical hierarchy to a position of power. The Things That Keep Us Here is one of those books of which people sometimes say, “Oh no, it’s not science fiction. It’s just a novel that is related to science that might happen…” If that increases the audience for this particular novel, that’s a good thing. 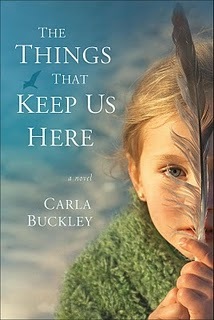 Buckley’s debut novel is a terrifying, realistic, human depiction of the advent of an avian flu pandemic. There was a lot of kerfuffle about a possible pandemic a few years ago, but once it appeared that avian flu wasn’t about to cross into the human population to any great extent, most people forgot about it. But scientists tell us that we’re overdue for a pandemic – it’s more a case of when it will happen than if it will. And in that light, Buckley’s novel should scare the pants off most readers. It’s possible, it’s credible, and it made me want to board up every window in my house. Ann Brooks has had a tough year. Her husband left her, and she and her daughters have been struggling to adapt to his absence. There was no dramatic reason for Peter’s departure; he just decided after a long period of unhappiness that something had to change. So Ann became a single mother, and went back to work, and her kids saw less of their father. Ann is completely taken by surprise when avian flu strikes America. Sure, she knew it had struck humans overseas and that some countries were very dangerous. But America? Guardians of Paradise was a flat, mildly interesting novel that left me completely uninterested in reading the rest of the series. 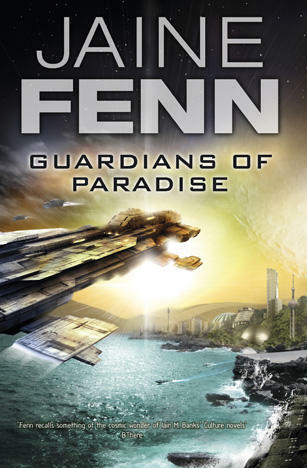 To be fair to Fenn, it does appear that this is the third in the series, and I have not read the earlier novels. However, I’m only guessing about that; nowhere in or on the novel does it explicitly tell you that this is part of a series. I’m assuming that because half a dozen pages into the novel I felt like I was coming in at the middle of the story; because the title page lists two other novels by Fenn with very similar titles; and because this volume ends on something of a cliffhanger. Fenn is doing herself and her readers a disservice by not offering them the opportunity to start the series at the beginning. However, it’s also worth noting that as a reviewer I often find myself starting a series part-way through. In this situation, other authors have still presented me with strong and engaging novels, and indeed in some cases novels that have caused me to later search out and read the earlier books in the series. Fenn has not done either of these things. As the story opens, Taro and Nual are visiting the home of Elarn, an old friend of Nual’s who has died. They scatter her ashes, but before they can leave as secretly as they arrived, they are attacked with lethal force. In the midst of the attack, Jarek, Elarn’s brother and close friend to Nual, unaware of Elarn’s death, arrives and helps them to escape. 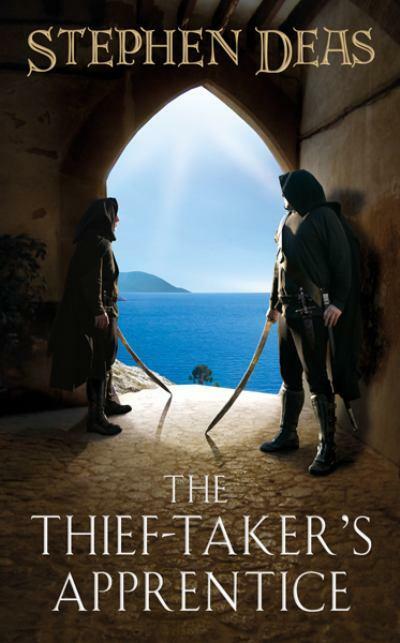 The Thief-Taker’s Apprentice is a fairly good book, but it’s distinctly lacking in sympathetic or likeable characters. As a result, it’s hard to picture what audience the novel will find, and many readers may not bother to look for the next in the series. There is no indication of how many books are planned, but there are enough loose ends in the plot to fuel several. Berren is a thief, and has been for most of his life. Early on the orphanage sold him to the thief who is his master; he lives a particularly squalid version of Oliver Twist’s life, with his master, Hatchet, brutally controlling a gang of young boys through violence, starvation, and lack of choice. One day Berren goes to watch an execution of three thieves; blood thirsty like many young boys, he thinks this would be fine entertainment, as well as a chance to pick a few pockets. But Berren makes a mistake; he sees the purse of gold the thief-taker is given as a reward for capturing the (soon executed) thieves. Berren wants that purse and follows the thief-taker with intent to take it. Things don’t go exactly as planned, and Berren soon finds himself more or less forced into apprenticeship with the thief-taker. By most people’s standards this is a better life than the one he’s been dragged from, but Berren isn’t sure he agrees. His master is mysterious, and Berren doesn’t understand much of the intrigue that underlies their work. But he knows this might be his best chance to be Someone Important. And at least he gets fed more regularly.